Not to say that other versions aren't more or less real.. this is just really real. 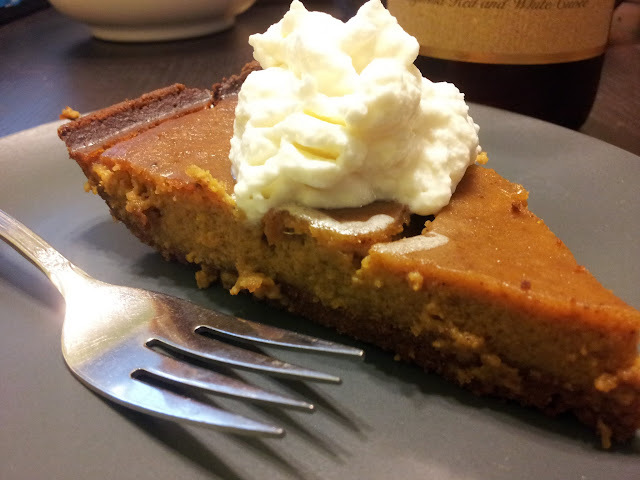 Made with fresh pumpkin, not from a can. This recipe will cover how to turn a real pumpkin into what I've decided is the most delicious pumpkin pie I've ever had in my life. I highly recommend getting a "pie pumpkin" and getting your goop the old fashioned way. Then, use the recipe below to make your amazing filling. 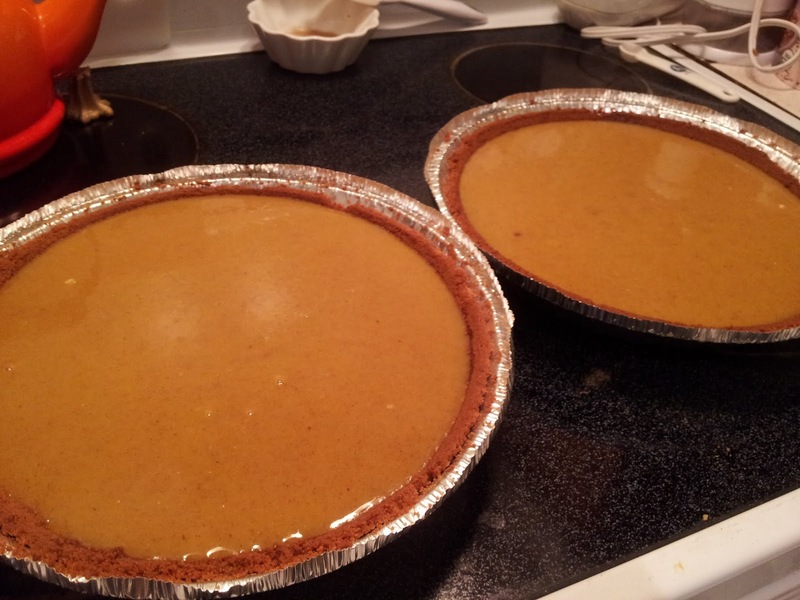 Preheat oven to 425°F; Makes two 9 inch pies. Mix all the ingredients together thoroughly and then pour into your already made pie crusts. 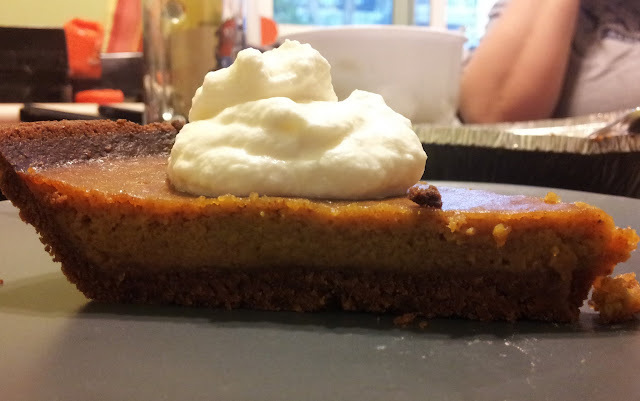 I used the pre-made graham cracker crusts, baked for 5 minutes with brushed egg on them. Bake at 425°F for the first 15 minutes. Then, lower the temperature to 350°F. Bake for another 45 minutes to an hour, until a butter knife returns clean from the center of the pie. You may have to bake shorter or longer, put don't worry too much about it. Just keep checking every 10 minutes until the knife comes back clean. Let the pies cool until they're just warm, and then slice and serve! Whip up some whipped cream to add on top for some extra yumminess!